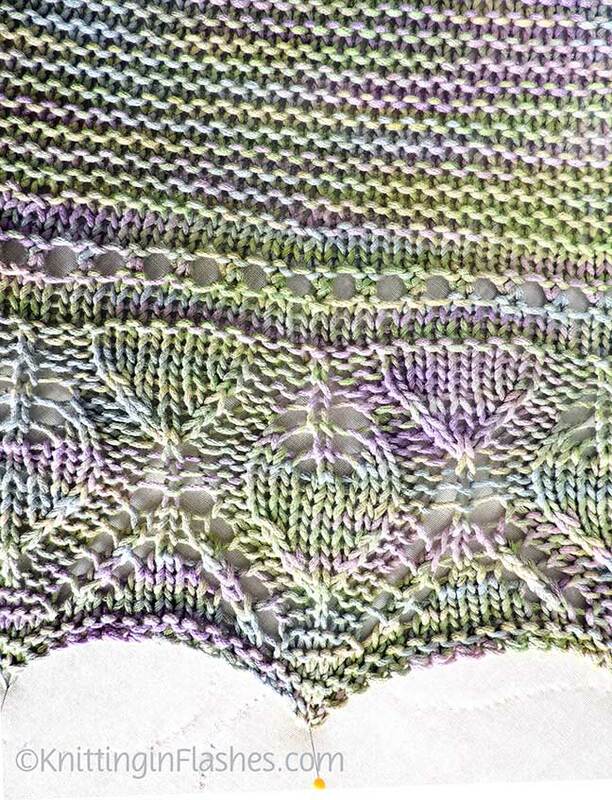 I love the leafy border on the Ka’ana shawl/wrap. 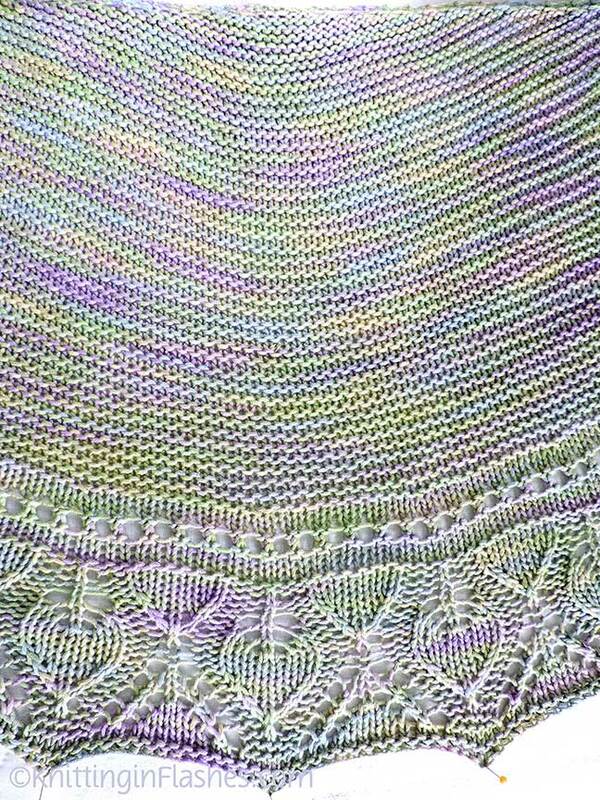 But the yarn is all wrong for this wrap. The color is wrong…for me. Not a fan of pastels. The actual weight of the yarn is just too heavy. It’s a dk weight but it’s cotton. And cotton can be heavy. 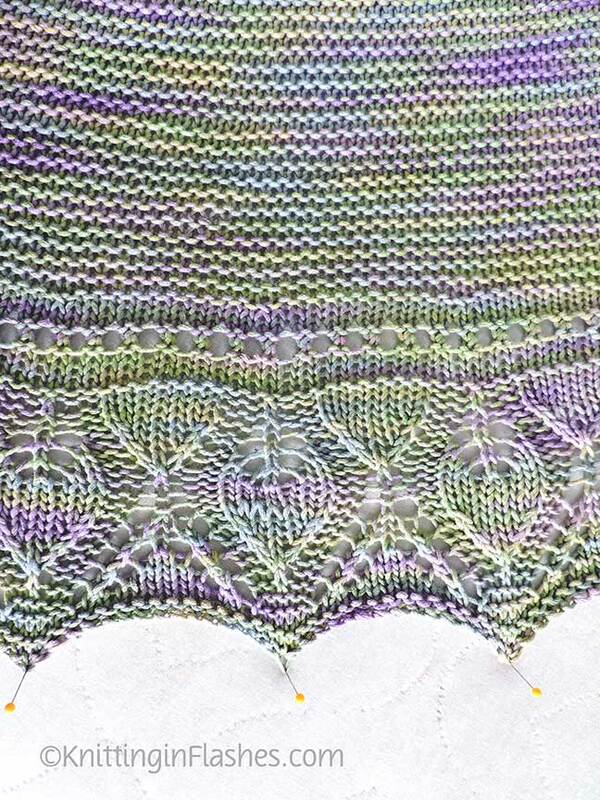 PS – I DID win at yarn chicken!! 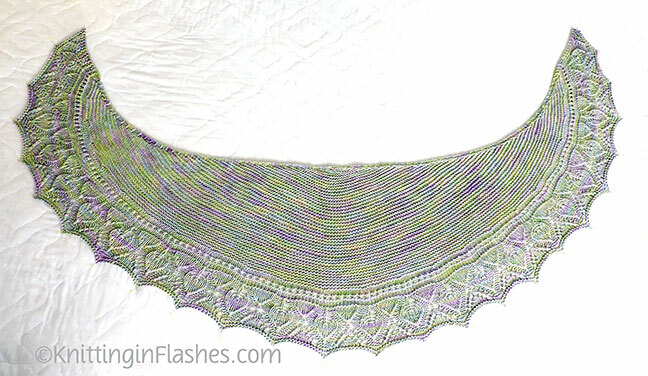 This entry was posted in finished object, finished objects, knit, knitting, knitting pattern, shawl, yarn and tagged finished object, knit, knitting, pattern, shawl, yarn by Patti_is_knittinginflashes. Bookmark the permalink. Good job! Maybe you could gift it to someone! But it is lovely. Maybe it will grow on you? Love the pattern.